Mother Ursula acquires a manor house in Pniewy thanks to the generosity of the Norwegian consul B. A. Stolt-Nielsen. The Congregation Motherhouse of the Ursuline Sisters of the Agonizing Heart of Jesus is given the name of St. Olaf, Patron Saint of Norway. The chapel is consecrated and the first Holy Mass is celebrated. Household Education School and a children’s home are founded. The Apostolic Nuncio, Achille Ratti, the later Pope Pius XI, pays a visit to the Motherhouse. Msgr. Stanisław Łukomski consecrates the newly built chapel and dedicates it to the Sacred Heart of Jesus. The publishing house and printery of the Ursuline Sisters are established. The President of the Polish Republic, Ignacy Mościcki, visits Pniewy on the occasion of awarding Mother Ursula with the Officer’s Cross of the Order of Polonia Restituta. The Golden Jubilee of Mother Ursula’s religious life is celebrated in Pniewy. Deputies of the state and numerous members of the Polish Episcopate led by Primate Msgr. August Hlond participate in the event. Mother Ursula for the last time leaves for Rome where she dies on May 29th, 1939 in the odor of sanctity. The General Chapter under the chairmanship of Cardinal Msgr. August Hlond takes place in Pniewy. Pia Leśniewska is elected the new mother general and the first successor of Mother Ursula. The activity of St. Olaf’s House is interrupted. The Germans occupy the area and some of the sisters are evacuated. Those who stay in Pniewy continue the apostolic and social work in difficult conditions. The sisters being separated by borders, arrested in prisons, camps, forced labour, without contact with the superiors, stay spiritually united under the overwhelming presence of Mother Foundress. The Congregation, as well as the whole country, tries to normalise everyday life and to organise its new the apostolic and educational work. The activity of the Household Education School and the children’s house is renewed. In the first years after the war the sisters open a nursery for war orphans. The farm land of the Ursulines in Pniewy is taken under state control. The state dissolves the children’s home, and in 1962 the school together with the boarding house are taken under state control. These changes resulting from tightened political actions against the Church in Poland cause new apostolic initiatives in the Motherhouse. Old buildings are adapted to new work areas: the kindergarten and the pilgrim’s house. The chapel is enlarged. The whole project is guided by Prof. Władysław Czarnecki from Poznan. The celebrations on the occasion of the 50th anniversary of the Congregation of Grey Ursulines take place in Pniewy. Various members of the Polish Episcopate led by Primate Stefan Wyszynski are present. The first celebrations of the Ursuline community in the renewed chapel of the Motherhouse are led by Bishop Msgr. Paul Verschuren from Finnland. The equipment of the chapel was created by Prof. Władysław Pieńkowski from Warsaw. The cross above the main altar is a work of Elżbieta Grocholska-Zanussi; the stations of the Crossroad are made by Anna Grocholska from Warsaw. Msgr. Lawrence Wnuk from Canada consecrates the cornerstone of the new House of Mother Foundress – a donation of the Congregation in anticipation of Mother Ursula’s beatification. In Poznan, the beatification of Mother Ursula Ledóchowska is concelebrated by John Paul II during his second pilgrimage to Poland. On the same day in Pniewy Msgr. Wnuk consecrates the statue of Blessed Mother Ursula on the courtyard of the Motherhouse. He celebrates the first Holy Mass in honour to Blessed Ursula. Archbishop of Poznan Msgr. Jerzy Stroba celebrates a Holy Mass in Pniewy as a thanksgiving for the beatification of blessed Ursula Ledóchowska and gives the chapel a second dedication – of Blessed Ursula Ledóchowska. A new chapel of blessed Ursula is built (according to the Project of Prof. Władysław Pieńkowski). The presbytery of the old chapel is enlarged. The sarcophagus of Mother Ursula is sculptured by Anna Grocholska. A children’s choir „Promyki Słoneczne” is founded with Blessed Ursula as its Patron Saint. The Motherhouse holds the celebrations connected with the transfer of the relics of Blessed Ursula from Rome to Pniewy. Her relicts are laid in the chapel of the Motherhouse, in the presence of numerous bishops, priests and a crowd of believers, under the chairmanship of Cardinal Msgr. Józef Glemp, the Primate of Poland and Archbishop of Poznan, Msgr. Jerzy Stroba. In commemoration of the return of Blessed Mother Ursula’s relics to Pniewy, the Sanctuary bell is given the name of “Ursula”. The new school year in the Household Education School of the Ursuline Sisters is opened. 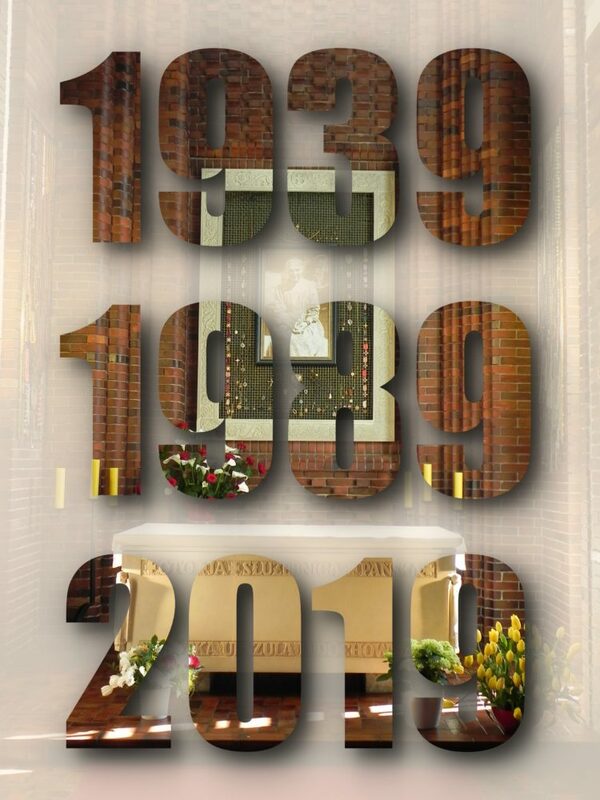 75th Anniversary of the Congregation celebrated with Archbishop Msgr. Józef Kowalczyk, the Apostolic Nuncio in Poland. The Holy Father John Paul II sends his congratulations, as well as the President of the Republic of Poland, Lech Wałęsa. Blessed Ursula is appointed a Patron Saint of the Archdiocese Poznan. In the Vatican the Canonisation process is closed. A decree on the confirmation of a miracle through the intercession of Blessed Ursula is published. It was the rescue of a 14 year old boy Daniel who miraculously survived a powerful electric shock.. The miracle took place on August 2, 1996 in Ożarów Mazowiecki. Pope John Paul II canonises Mother Ursula in Rome. More than 50 thousand people take part in the Holy Mass in St. Peter’s Square, among them, over one thousand believers from the Wielkopolska district. On the occasion of the 10th anniversary of Mother Ursula’s canonisation, celebrations are led by the Apostolic Nuncio Msgr. Celestino Migliore in the Pniewy Motherhouse.